Factory-manufactured fitting accessories (corners, tees, end terminations, and crossover intersections) are designed for maximum flexibility and are produced using special techniques to ensure clean seam lines and watertight applications. 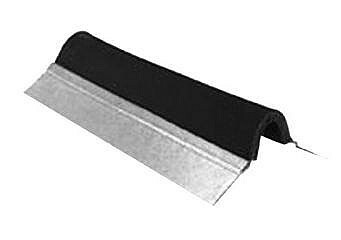 DekStrip Universal Roof Flashing. Longlasting UV resistant gray TPE rubber with 25% expandable reinforced edges. Fits large, curved or irregular profiles. 7 inch wide x 75 foot roll. Price/Roll.